Hiya! I’m Lucia Wood, a Second Year Photography student studying at Falmouth University, Cornwall and I’ve spent a week with the LPA team to get a sneak peek into how the industry works and all the hard work that goes into working in an agency! The day started with a long walk up the many stairs to the LPA office where I met Cassie and Clio and began to settle in. I was shown how the agency arranges estimates for shoots and was introduced to the production side of the agency. I also had a look at some of their photographers’ portfolios which were beautiful and gave me an idea of what the industry standard is like. Then I was off in an Uber to a shoot in Dulwich with Patrick Harrison for Cancer Research UK! 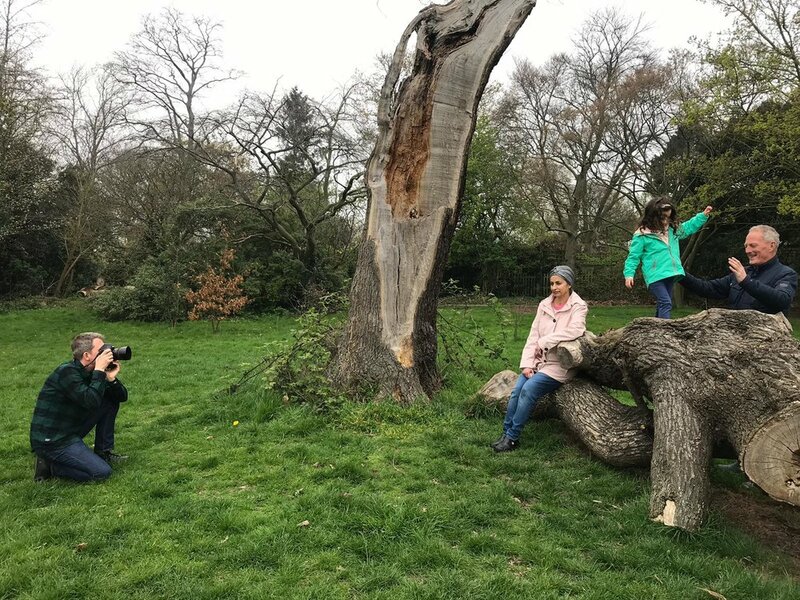 On getting to the location I met Anna and Chloe and I was immediately aware of how huge the production is for any shoot, this particular one had three models and was shot between a house and Dulwich Park and there were so many people for every role you could think of! It was such an incredible experience to be able to see behind the scenes of a shoot and it really opened my eyes to what it’s really like outside of the university bubble. Second day in the office, Will Hartley was in and showing Clio some work and so I was able to sit in and get a glimpse of the kind of work the photographers they represent produce. His projects were really interesting and his work on the Redneck Mud Park in particular was standout for me, his work shows a part of a crazy event I didn’t even realise existed. I also got to ask him about his journey to the position he is in now, this was a unique opportunity to listen to the advice of a represented photographer. I also had a really interesting conversation with him and Clio about being a woman in the photography industry and the importance of confidence in your practice. Overall it was a great morning and I came out of the conversation feeling inspired to shoot more and to work harder on my own practice. Clio showed me the LPA website and a behind the scenes of the e-cards she writes that are sent out monthly to those who subscribe to them. At the end of the day Cassie showed me how they promote their agency and photographers – through postcards with their photographers’ images on, social media and a small booklet which shows a selection of photos from all the photographers they represent and clients they have worked for that they send out. I was given an example of a brief that is sent through to the agency for a client and my task was to fill it out as they would in order to send back to the client to show a selection of images which the photographer selected has done before, making it easier for the client to see what to expect from their work. This consisted of me looking through LPA’s archives and website to select 20 images I thought would be appropriate for the brief given. This was a great way to see inside the agency’s everyday and developed my knowledge in the work that needs to be done in order to satisfy the client. I really valued being able to do some of the work that the girls do to gain an understanding of what kind of work is done in an agency. Later in the day one of the winners of LPA Futures 2019 came in to chat through their images with Lisa and the prizes they have won as part of the competition! The winners are kept secret until the launch in early June, but it was great to hear Lisa talk through how the competition has helped emerging talent in previous years and see how happy the winner was about being represented by LPA for the next two years along with the other incredible prizes! I spent the Thursday in creating an exclusive list for a new e-card to be sent out to for potential clients. I sorted through a few photographers and looked out for any brands they had shot for, making note of them and then looking for contact details and adding them into an list in an Excel spreadsheet. Then towards the afternoon, a new addition to the agency came in for a meeting to look through edits to put on the LPA website. Again, this was a really good opportunity to observe what the industry is like, how photographers work with agencies and what goes into choosing what is placed online and what kind of direction they want to go in with future work. They were really friendly and professional and were great to observe in the editing of the images they showed on the LPA website. 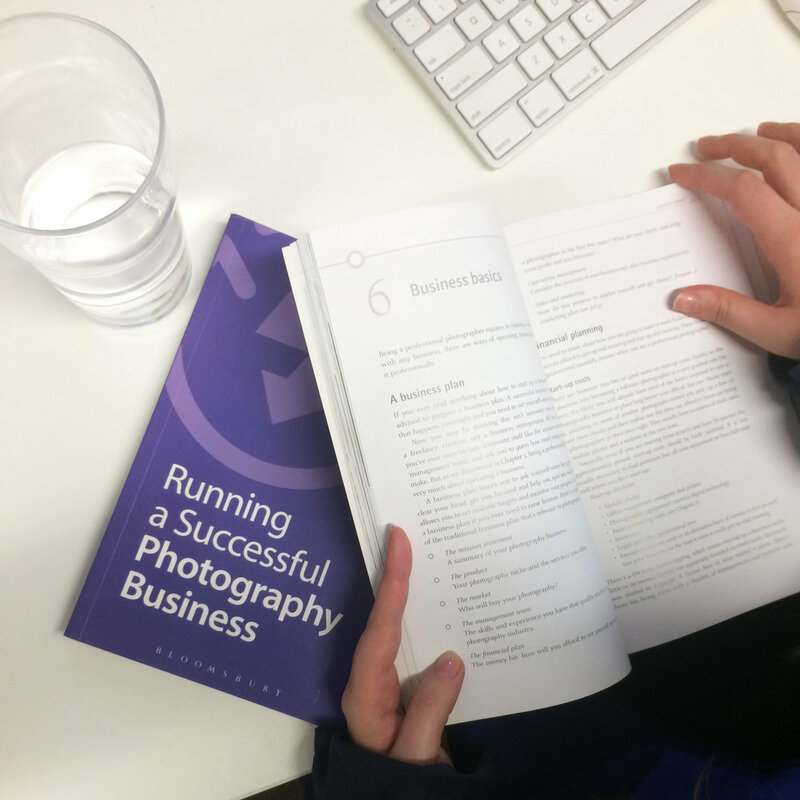 I also got a chance to chat to Lisa and run through her books, Setting Up a Successful Photography Business and Running a Successful Photography Business and are brilliant to look through to build up some knowledge from an expert in this area! 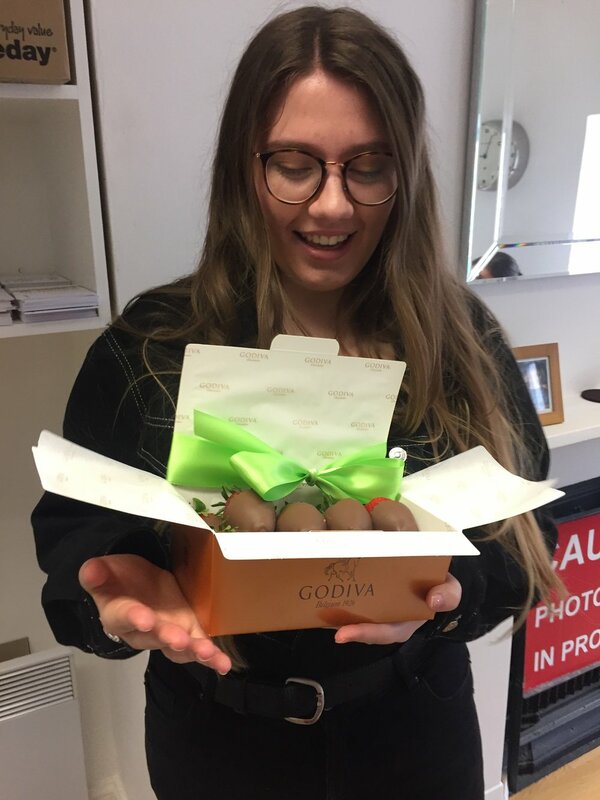 Chocolate for the LPA Team! It’s the last day and its going to be so sad to leave! I have loved being in such an amazing work environment surrounded by such hard working, strong women who are all amazing at their jobs. I arrived at the office with chocolate covered strawberries to say a massive thank you to the girls for taking me on and its fair to say it went down pretty well! The rest of the day has consisted of writing up this blog post from the notes I’ve been taking throughout the week, I have been constantly jotting things down in my notebook as I’ve had so much to learn from every person in the office! I’ve had an amazing and fulfilling week with the LPA team and I want to thank Cassie, Clio, Chloe, Anna and Lisa for being so happy to show me and to Lisa for the amazing opportunity!